I think you misunderstood what I meant.The problem only occurs in version 821.Version 820 can work when my device is locked.And i have checked the system setting. @Lucas Barbos Samsung Pie unfortunately doesn't support Hi-Res + DVC for 3.5 output (it still works for BT/USB). I suggest using standard res + DVC, it sounds best on wired for Samsungs. even with these settings the sound still sounds strange, the bass exceeds the treble and it was not like in the Oreo. another thing, the sound is lower, and I have to increase almost in the limit, something that did not happen in android 8.0. could you adjust these issues for us from Samsung? @957064621 what is the target output device when such Poweramp shutdown happens? BT/Wired anything else? Thanks! Secondly, AFAK you have one of these Samsungs if I activate DVC it will disable Adapt Sound, won't it? As far as I understand it Samsung's "Adapt Sound" is part of the normal Android sound processing. I would expect that you have to use Audiotrack Output plugin for that to influence the sound coming out of Poweramp. Thank you ! Didn't know that. I tried it out : all of Samsung's sound settings are bypassed by DVC. Where does that " as it should be " come from ? I mean, how did you know ? Is there a specification for DVC lurking somewhere in the depths of these forums 😀 ? I can confirm since this update it also works on my Chromecast V1 stuck in my TV. Looks very stylish as well Max. Love the Chromecast UI and couldn't be happier with the way you implemented Chromecast support. Thnx! 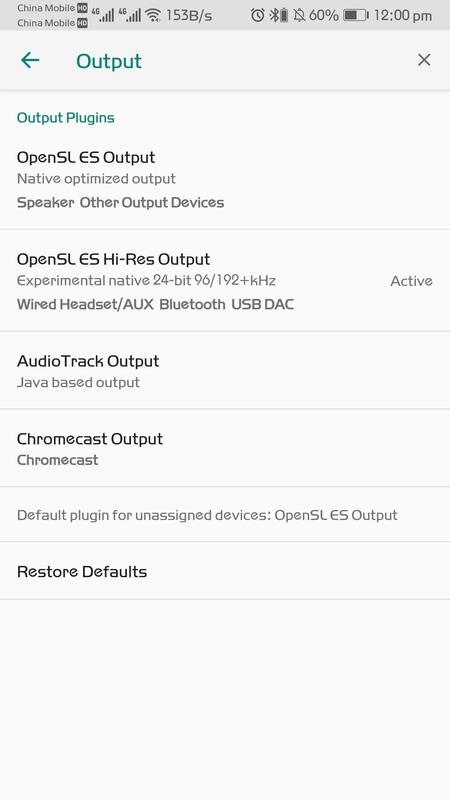 all of Samsung's sound settings are bypassed by DVC. I would expect that to happen, yes. The whole point of Direct Volume Control is that output goes lower level and misses out a lot of the stuff that manufacturers bolt on (whether you consider those bolt-on as beneficial to the sound or not). @Menelas Finalizing the build, will be published in a few hours.